In January this year, Space Monsters editor and publisher Cyberschizoid (AKA Richard Gladman) popped down to Southend for Horror-on-Sea 2015 with scream queen Dani Thompson to watch a screening of indie horror film Serial Kaller. 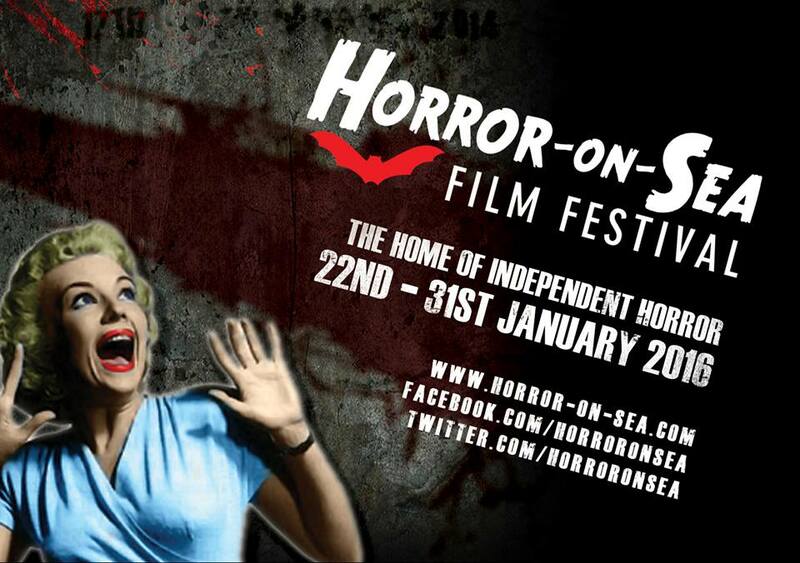 We had such a blast that we thought we would spread the word about Horror-on-Sea 2016 taking place over TWO weekends in January! 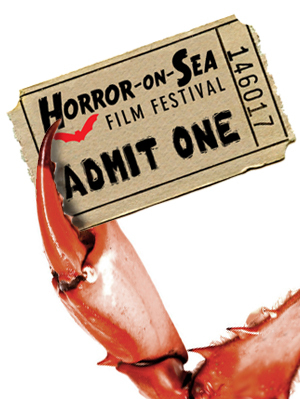 “Well, we’re all set for Horror-on-Sea 2016, and what a line up we have for you! In fact, the response from filmmakers has been so great that, once again, we’ve extended the festival over the following weekend. So, at Southend, the horror never ends – or, rather, it lasts for two whole weekends! As before, many filmmakers will be joining us, and the bar will once again be a hive of activity between screenings as they chat to festivalgoers. We are the ‘friendly festival’, and you can be sure of a warm welcome as you step out of the January cold. In addition to the wonderful line up of ‘horrorific’ films, all supported by tasty shorts, our good friend, and local horror legend, Pat Higgins, will be back with another Masterclass, “Watch Horror. Write Horror. 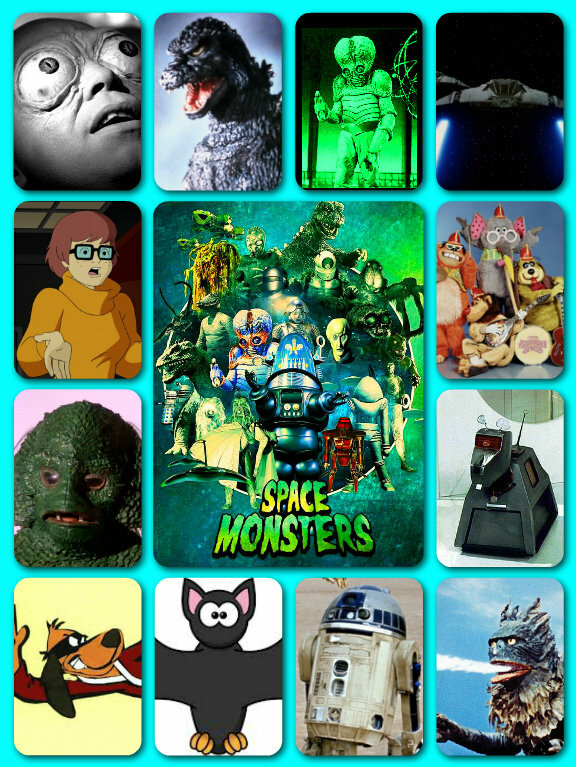 Make Horror”, at which he will inform and entertain in his own inimitable style. 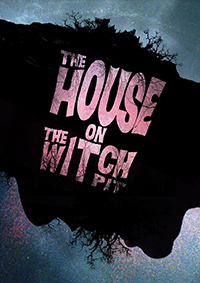 That will be followed by the World Premiere of his new film The House on the Witchpit, a ‘festival first’ in that he is revealing nothing at all about this – not even a teaser trailer – in advance, and it will never again be shown in this version! So do join Pat for ‘Secret Cinema’, the Higgins way! We are also delighted to be hosting the World Premiere of The Snarling, Pablo Raybould’s horrifically scary and very funny take on a classic movie monster that will be a highlight of the festival. So why not make a real break of it, and stay at the festival venue, the Park Inn Palace Hotel, for the first weekend? Special festival rates are just £65 for B&B for one night (single or double occupancy) or £130 for B&B for three nights (single or double). Call 01702 455111 and quote “Horror-on-Sea”. IS IT A BIRD? IS IT A PLANE? 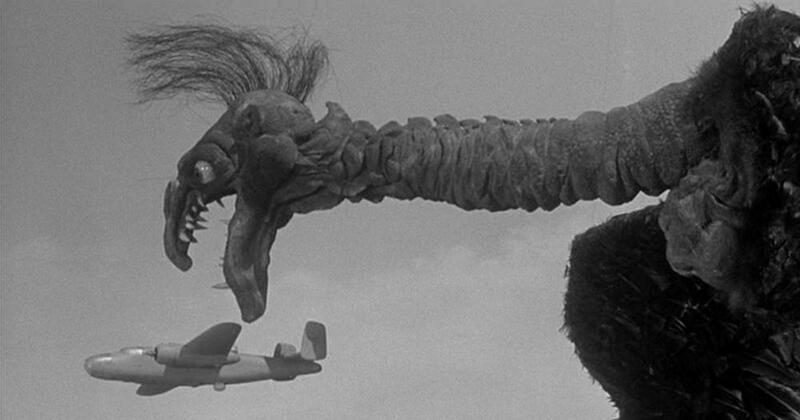 NO….IT’S A GIANT CHICKEN! 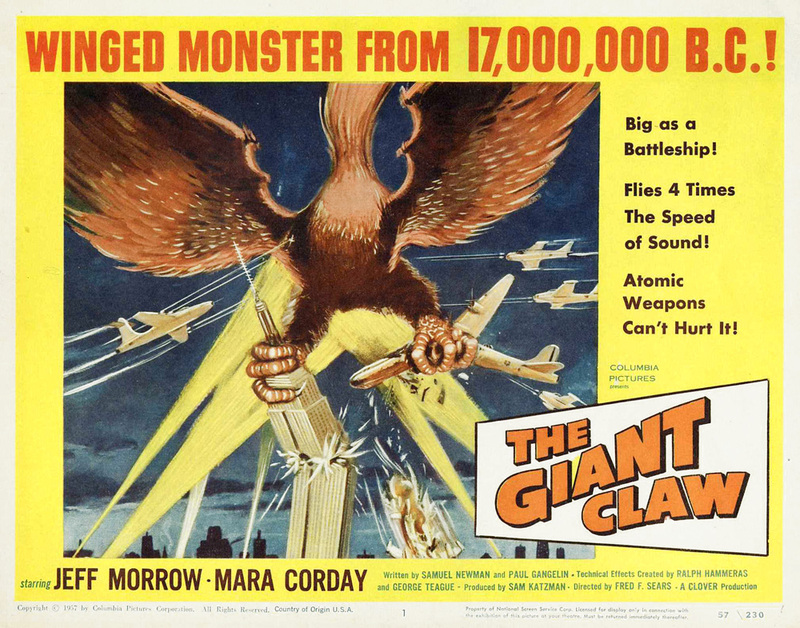 The Giant Claw (1957) is one of those “so bad it’s good” trash fests that has to be seen to be believed! 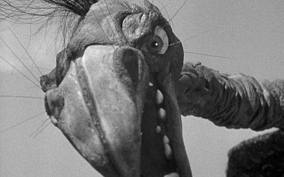 What appears to be a giant chicken (or perhaps it’s a turkey – like this movie!) attacks the world in a cavalcade of stock footage and bad special effects – and now you have the chance to see this B-movie classic on the big screen at this year’s Bram Stoker International Film Festival which is supported wholeheartedly by Space Monsters magazine! 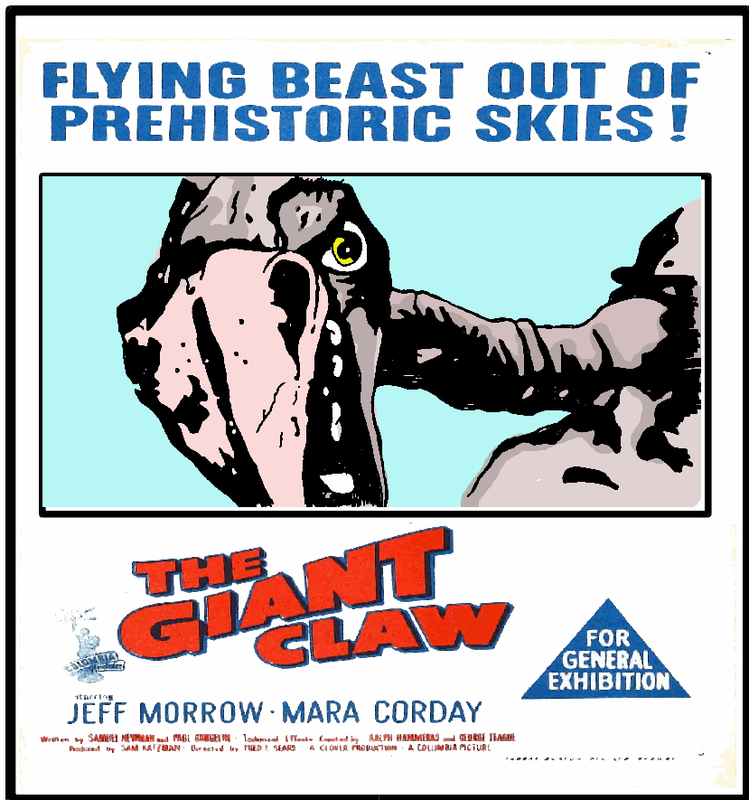 The Giant Claw and many other retro cult classics will be screening in a separate room, The Sultan’s Sci-Fi Suite, alongside all the brand new horror movie premieres from around the world and we’ll be there selling issues one and two of Space Monsters magazine for the duration of the festival so make sure you come and say hello! There are also a ton of amazing short films screening including more UK and World Premieres! You can buy tickets for the festival HERE! See you in Whitby, Space Cadets!